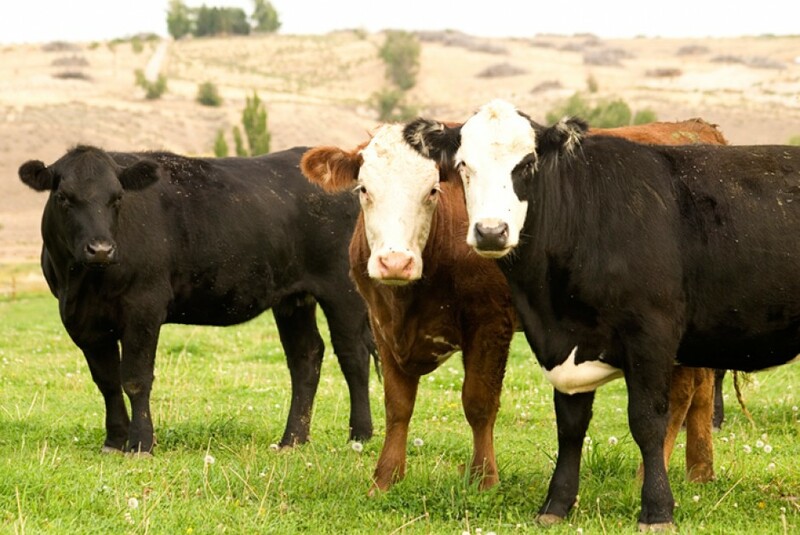 Did you know that July is Idaho Beef Month? 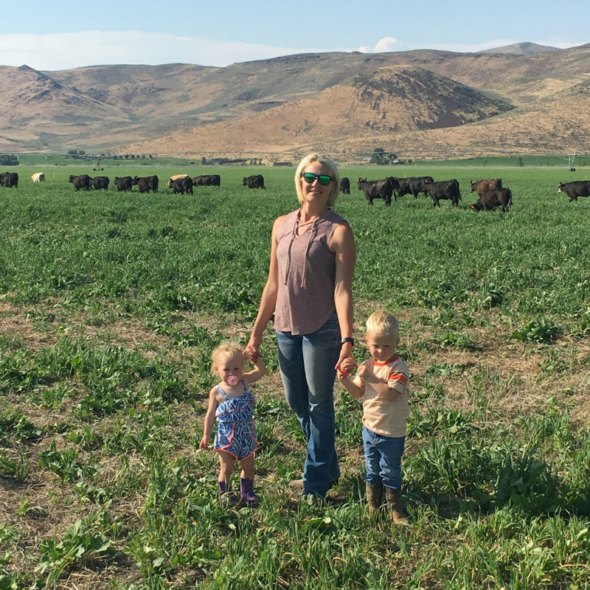 The Idaho CattleWomen are excited to be partnering with the Idaho Beef Council, as we spend the month introducing you to different ranching families across Idaho, here on our blog and Facebook page! 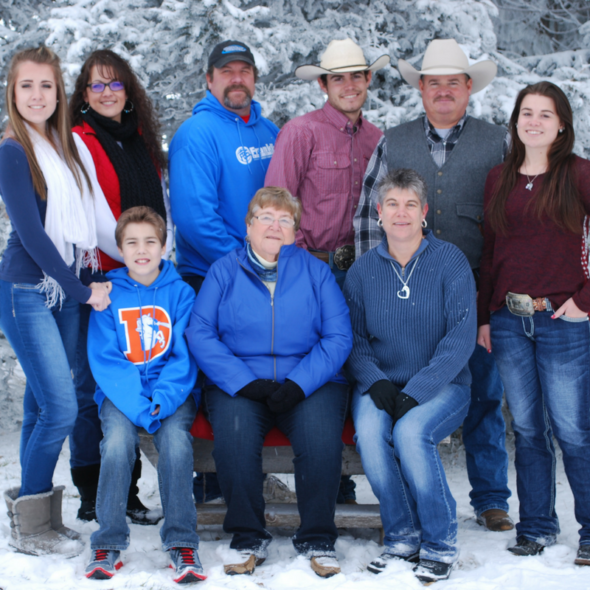 My name is Dawn Anderson, and I’m a born and raised Idaho rancher. 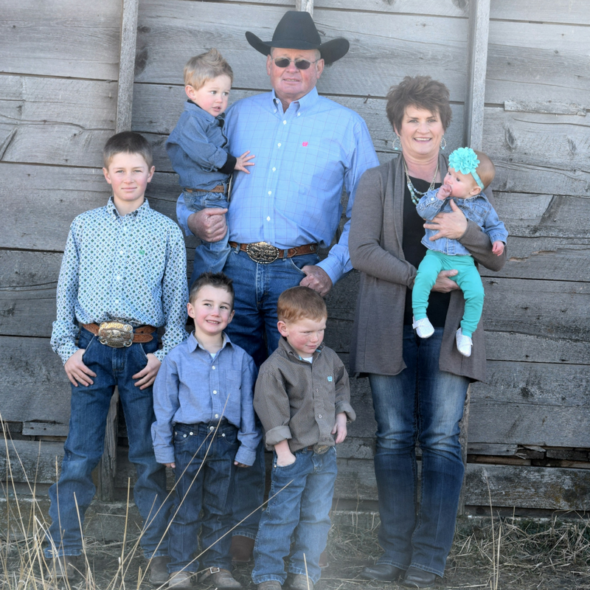 We own and operate a registered Hereford and Red Angus operation, JBB/AL Herefords & Reds, that’s located halfway between Gooding and Bliss along the Malad River. 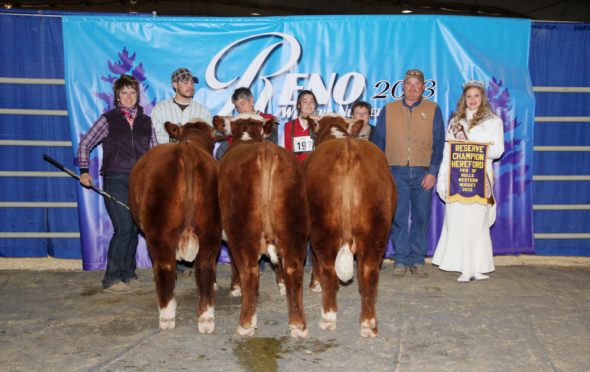 My parents began raising registered Herefords 50 years ago. 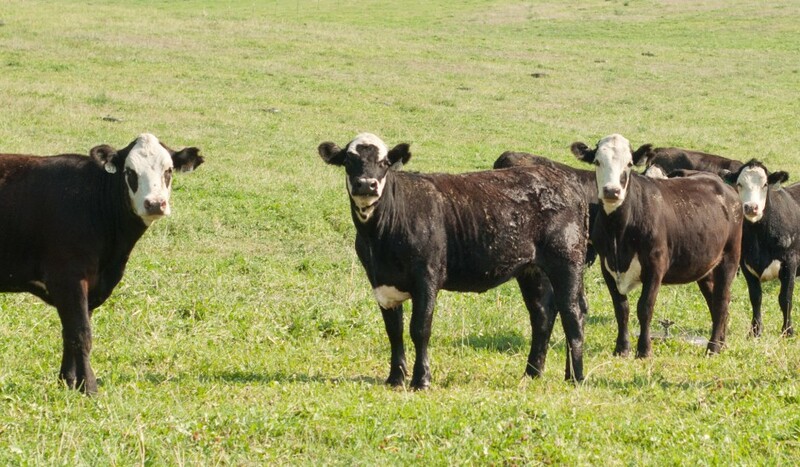 I had my own herd of Hereford cows growing up and was fortunate to marry someone who was interested in the ag industry. My husband, James, and I entered a partnership with my parents, John and Bev Bryan, in the early 1990’s. 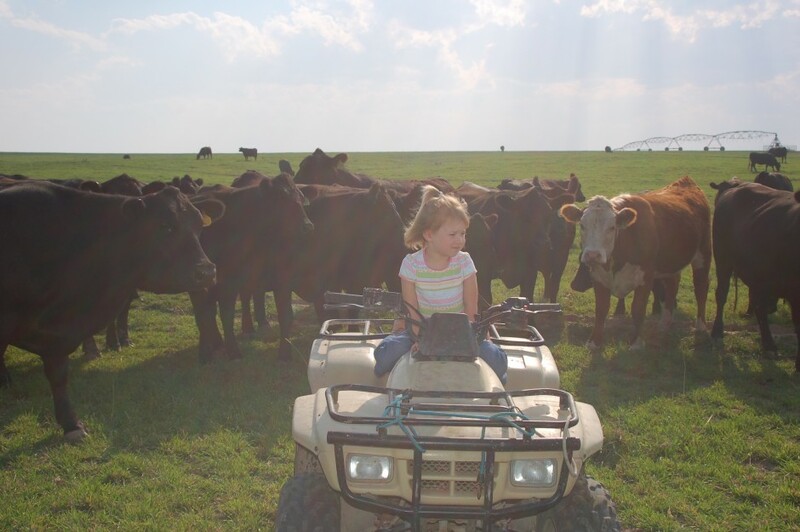 Our children, Bryan and Jae, started their own herd of registered Herefords as well. 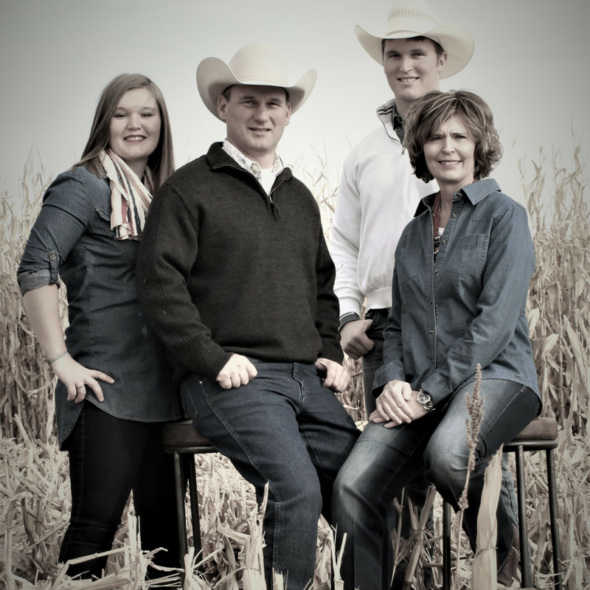 In 2012, my son and my Dad decided it was time to add a second breed to our operation and purchased our first group of Red Angus heifers. 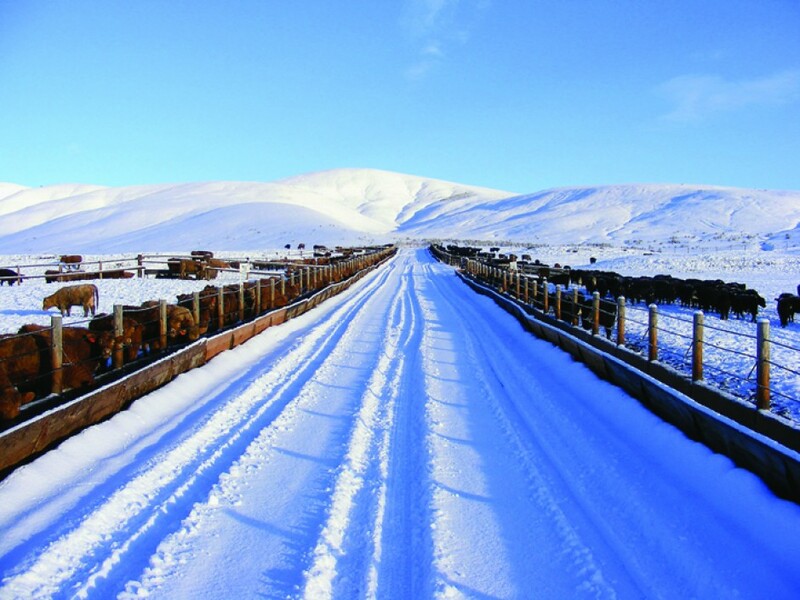 We maintain a herd of around 125 spring calving cows and hold a production sale the 2nd Monday of March in conjunction with Spring Cove Ranch. 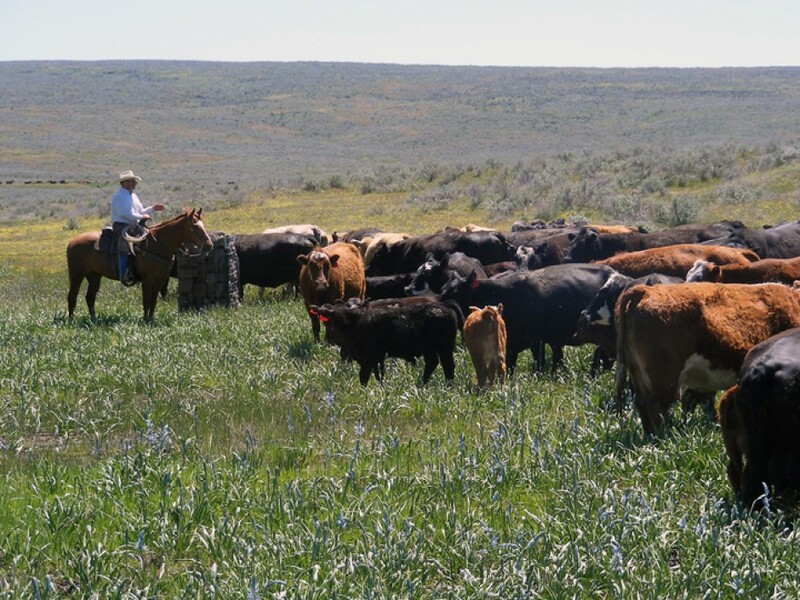 Our offering includes bulls and heifers. We also farm and raise primarily corn and hay. It’s difficult to identify one part of the beef industry as my favorite. It is probably the connections it creates among producers and beyond. I enjoy talking with people who have been in the industry a long time and hear about the changes that have occurred as well as to those individuals who know very little about “cows” and assume I raise black and white animals that produce milk for public consumption. It’s exciting to share our story. There is no better way to raise a family. 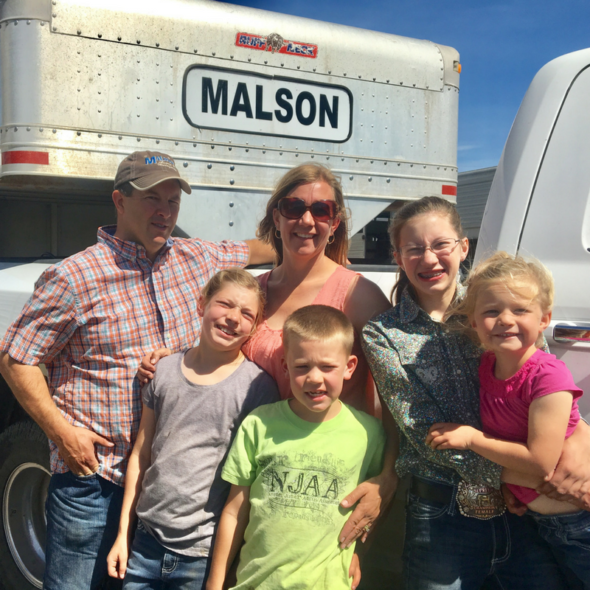 It provides a great opportunity to teach children responsibility and that we have a greater responsibility to the world in providing a wholesome, nutritious product. 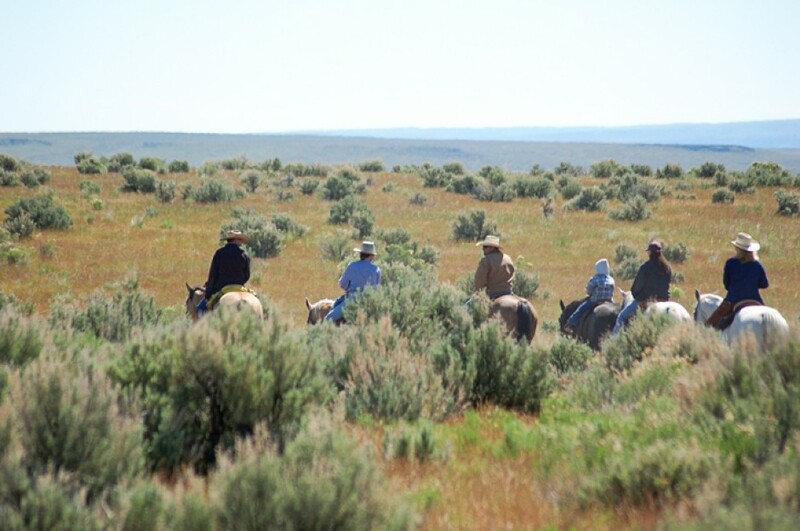 I was fortunate to be raised in this lifestyle and to be able to raise my family in this environment. It is imperative that we be good stewards to provide the same opportunities for our children to raise their families here if they desire to do so. 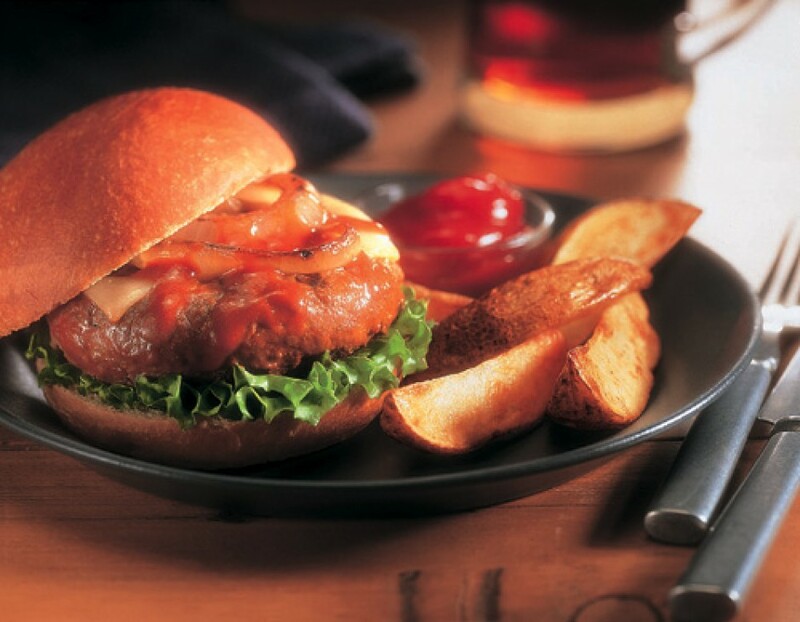 I don’t like to spend a lot of time in the kitchen, so my favorite is fast, easy and delicious. 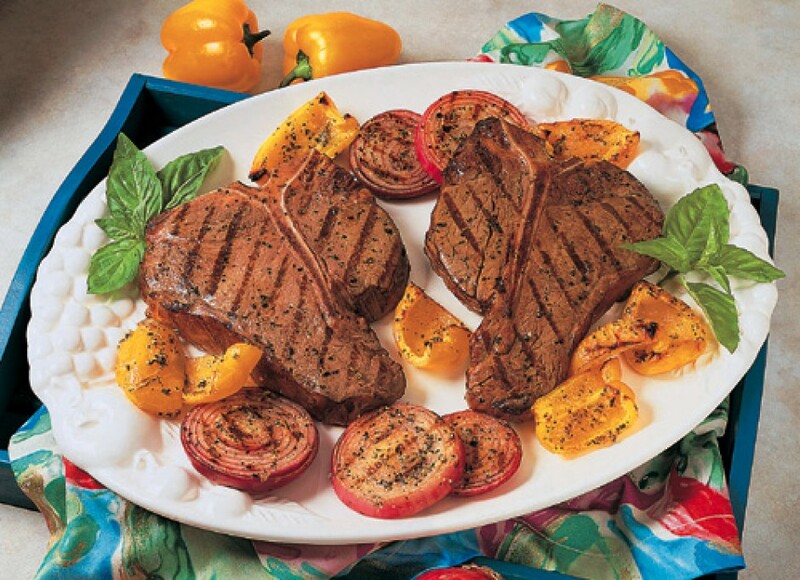 You can’t go wrong with a steak (any kind) on the grill, with freshly picked asparagus, and a baked/grilled potato. I’m not sure how relaxing it is but I enjoy golfing whenever I get the chance. I recently made a trip to the Moscow area and it reminded me of the variety of terrain Idaho offers. It’s amazing and beautiful. 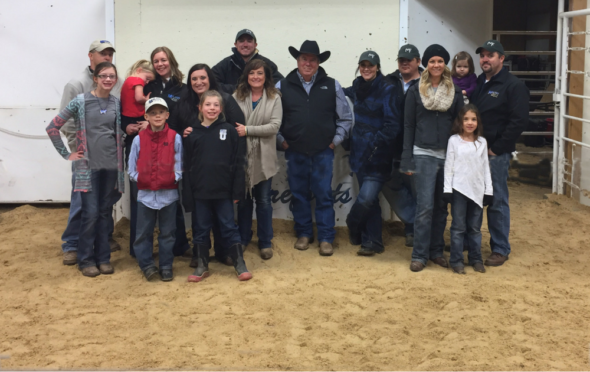 To catch up with Dawn Anderson and her family on a regular basis, you can keep up with her ranch’s Facebook page!